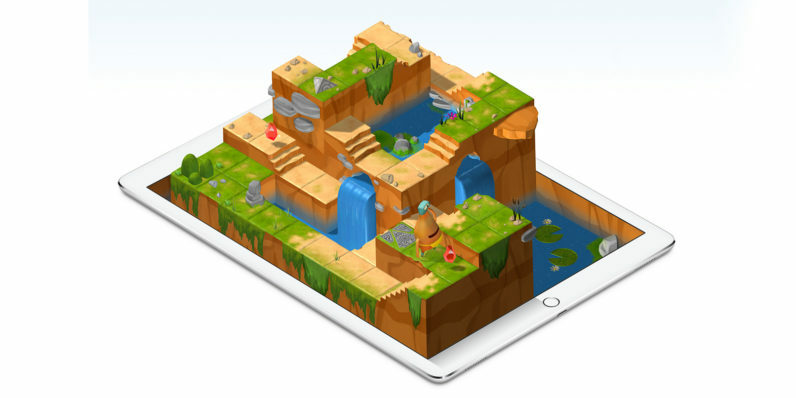 Apple has officially rolled out Swift Playgrounds, an iPad app designed to help kids learn to code in the company’s Swift programming language for developing Mac and iOS apps. Swift Playgrounds, which Apple first demoed at WWDC in June, takes children through the fundamentals of coding and introduces them to functions, object types, commands and more. The company says it’s easy enough for people without any prior programming experience to get into. It offers a drag-and-drop interface for the more basic lessons, and subsequently makes a numerical keypad, as well as easily accessible code snippets and a software keyboard that’s optimized for coding with QuickType predictions for complex challenges. The app also serves as an environment to test and share Swift programs. Once you’ve banged out a program, you can run it and interact with it through Playgrounds, and also share it with your contacts if they have an iPad. Additionally, you can capture video of your app in action and share that with your friends and followers. Apple says that you can also export your code to Xcode when you want to extend or fine-tune your creations. Swift Playgrounds has been in public beta for some time, but it’s likely to reach a much larger audience now that it’s easily available through the App Store. It works with all iPad Air and iPad Pro models and iPad mini 2 and newer running iOS 10.